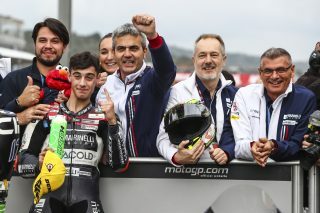 Tony Arbolino (Marinelli Snipers Team Honda NSF250RW) roared to his second-ever Moto3 pole position in the trickiest of conditions early this afternoon. 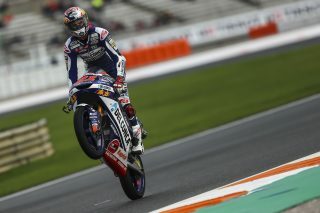 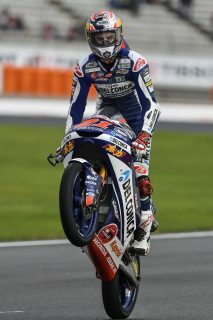 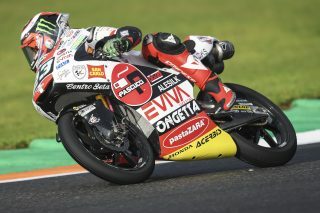 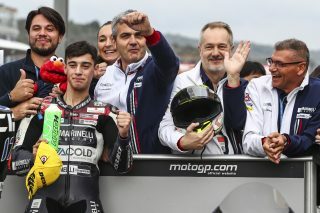 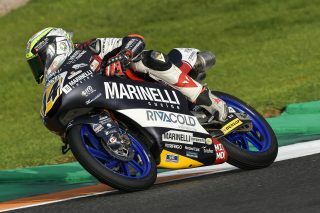 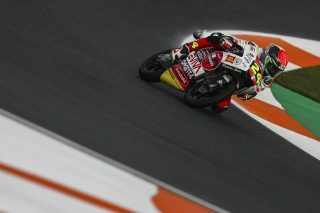 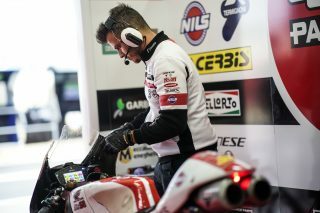 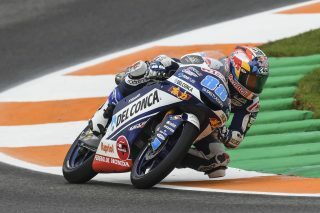 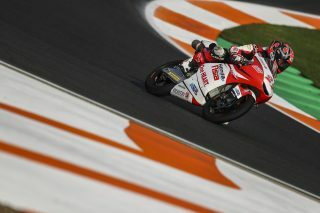 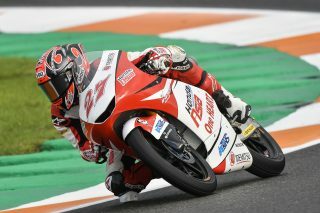 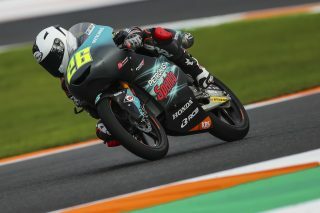 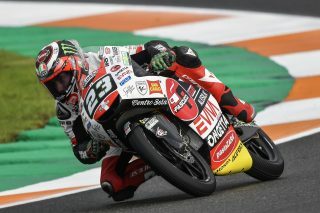 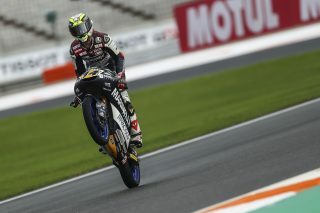 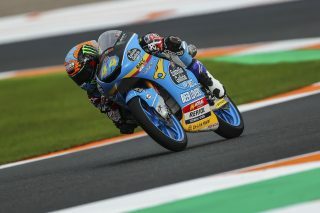 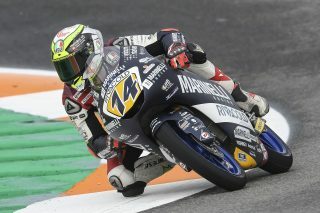 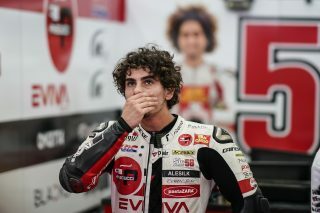 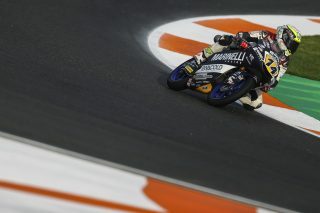 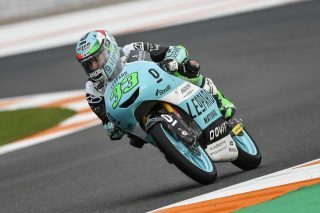 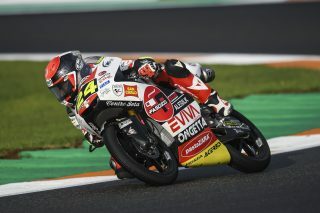 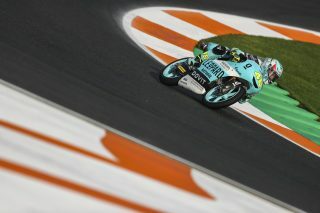 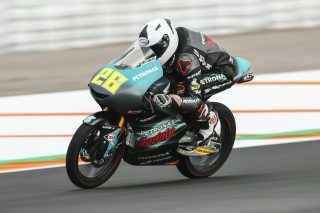 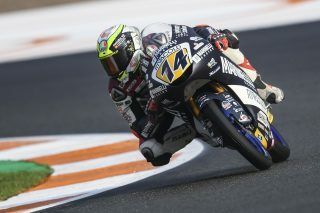 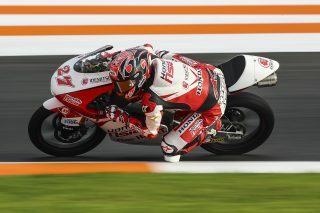 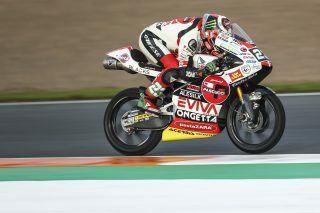 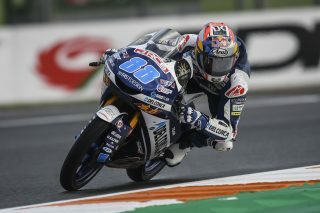 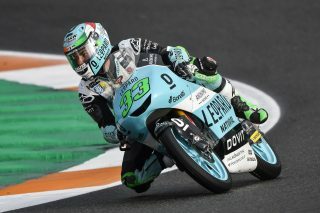 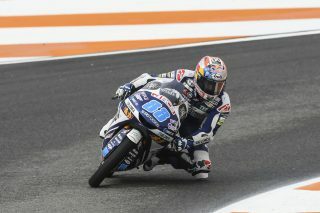 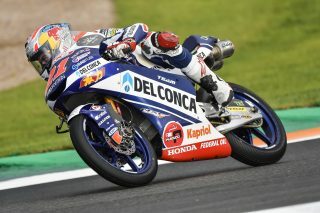 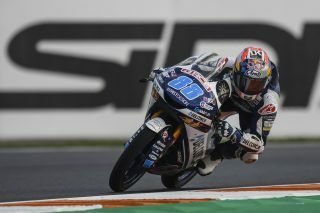 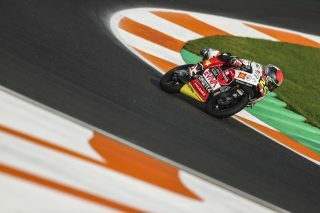 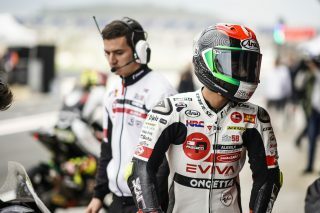 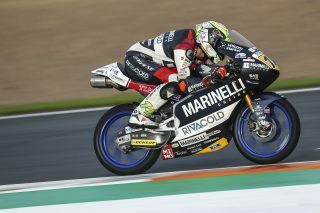 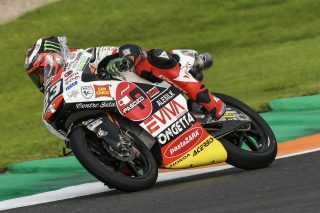 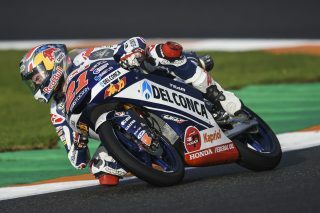 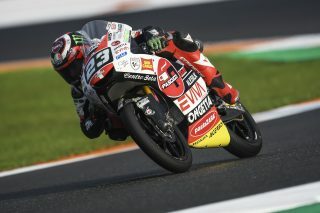 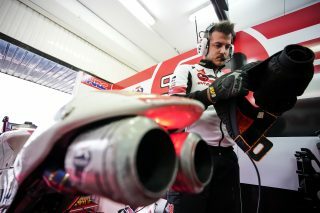 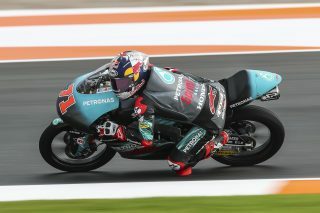 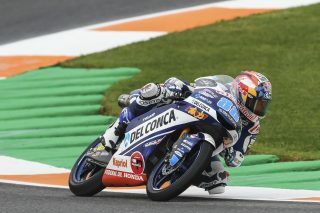 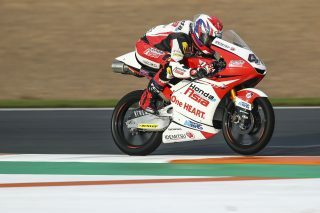 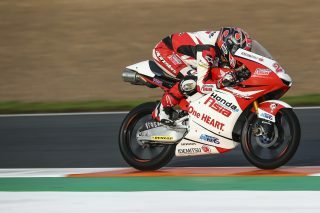 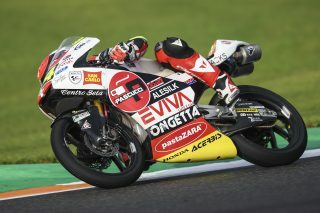 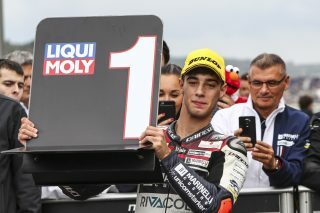 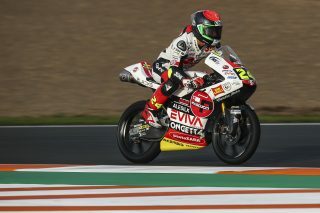 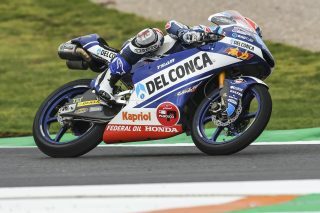 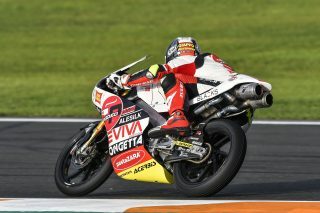 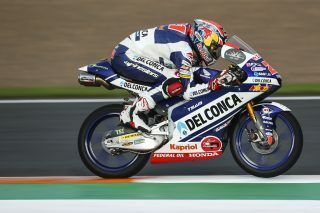 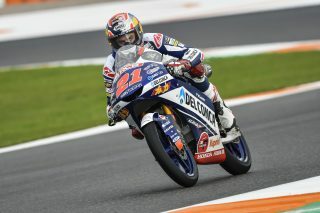 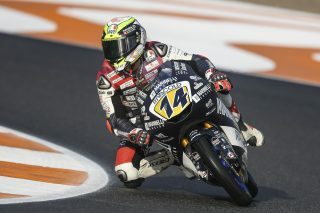 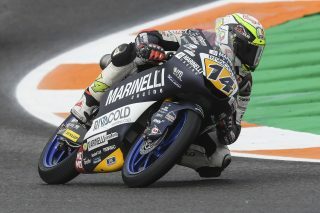 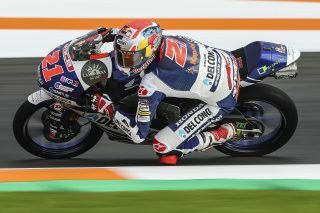 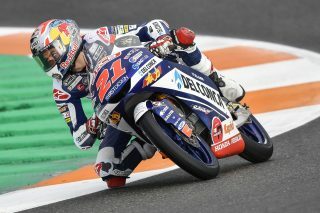 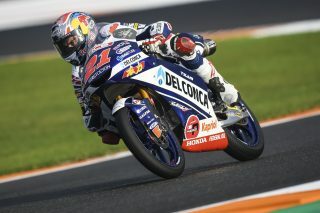 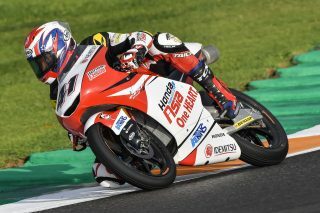 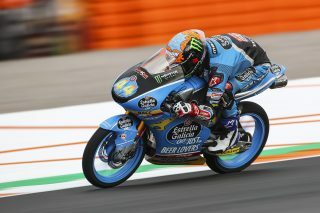 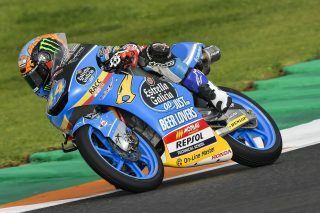 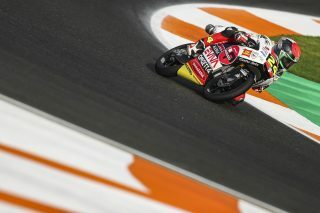 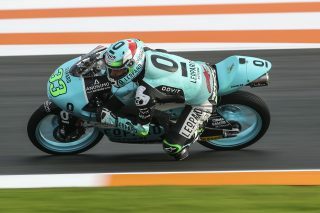 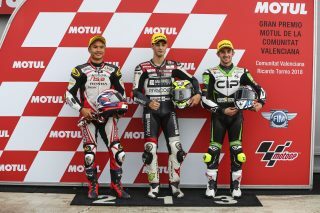 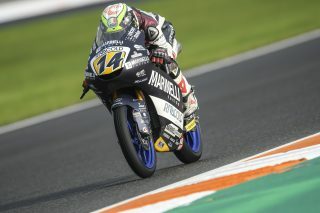 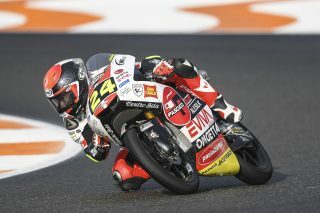 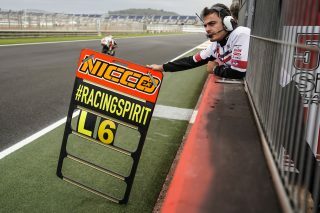 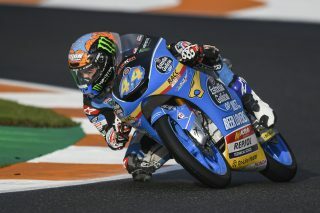 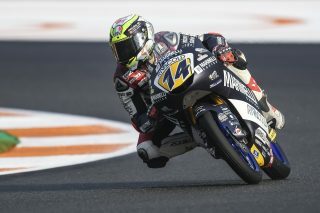 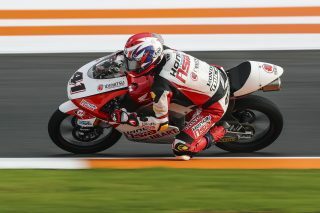 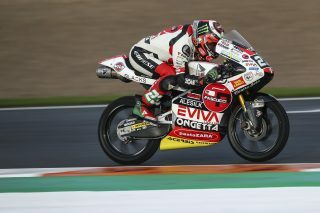 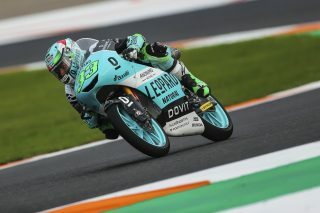 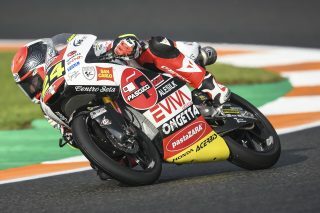 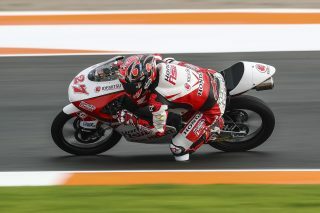 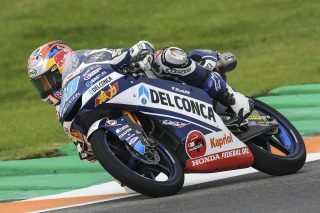 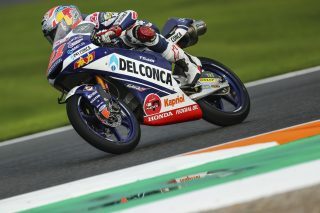 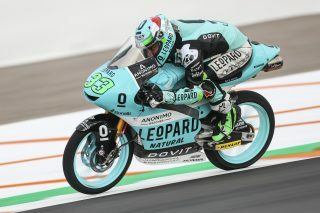 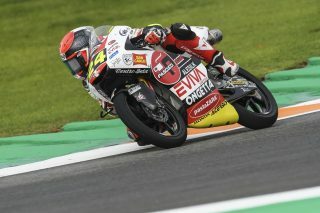 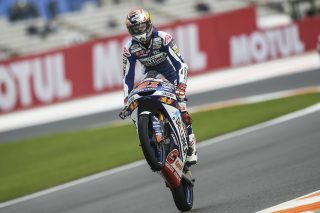 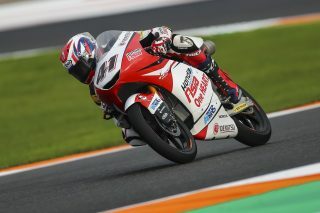 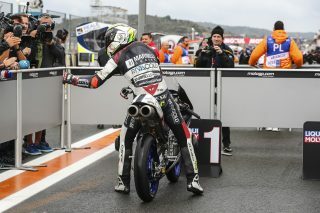 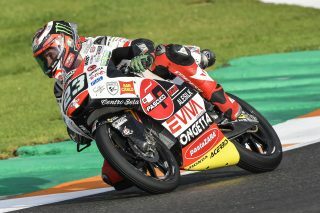 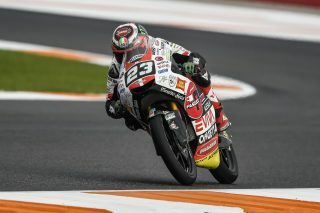 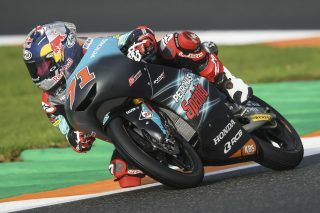 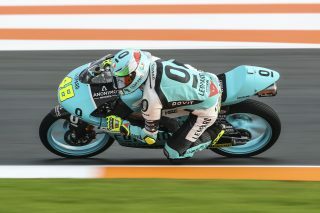 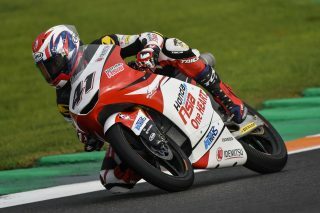 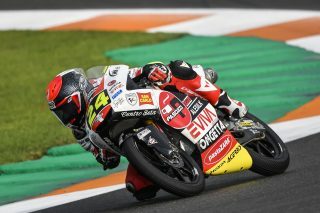 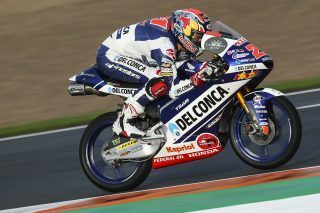 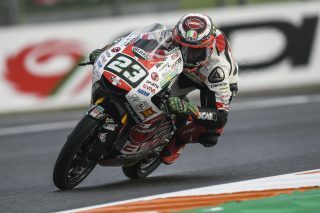 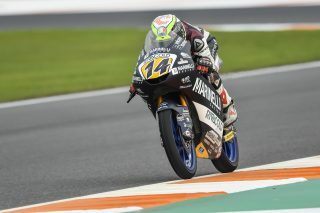 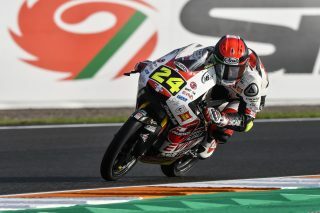 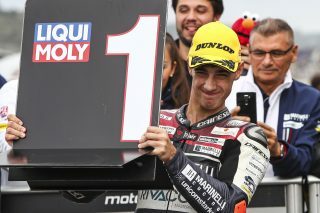 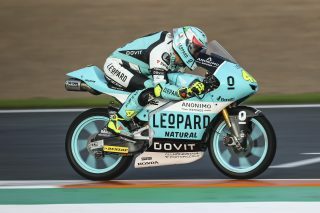 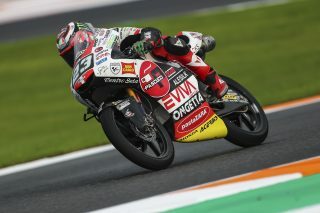 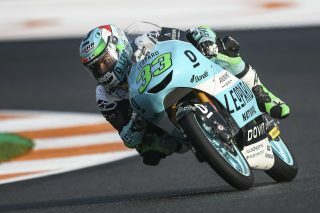 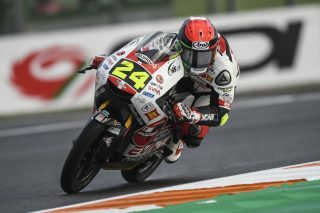 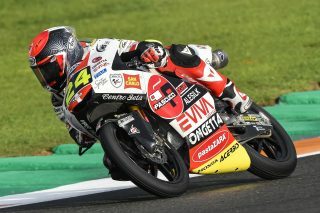 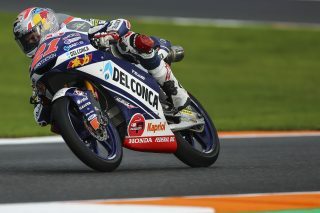 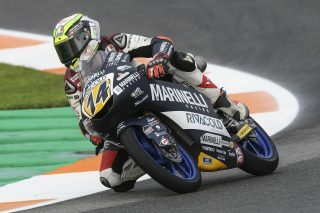 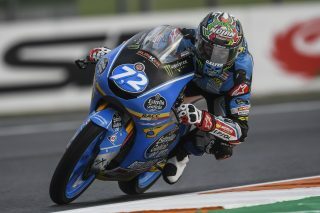 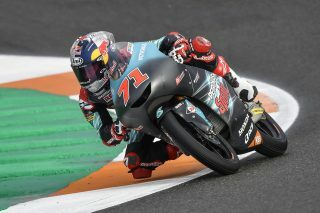 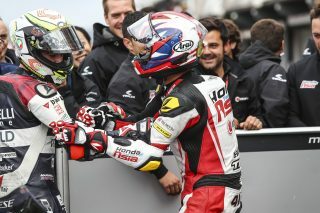 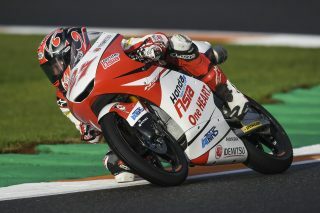 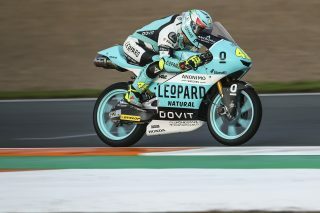 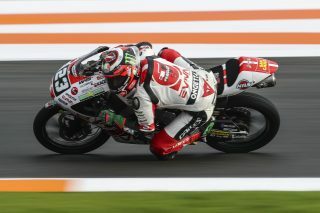 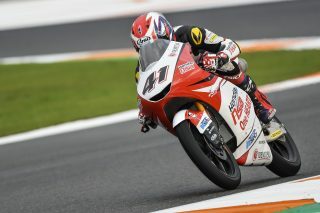 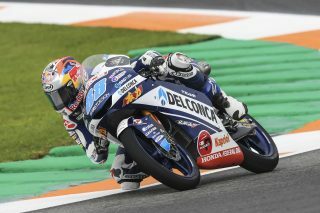 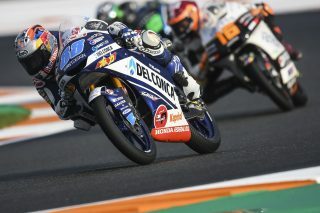 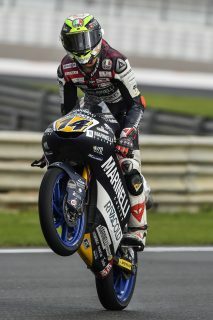 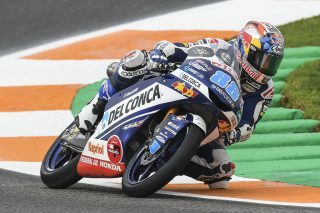 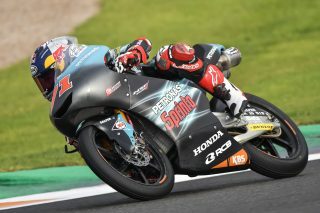 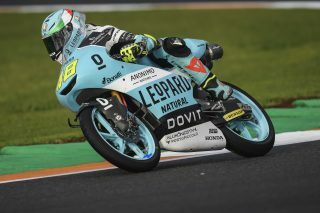 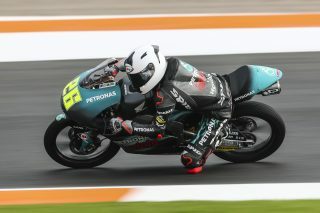 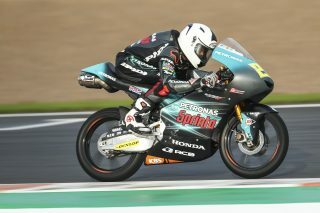 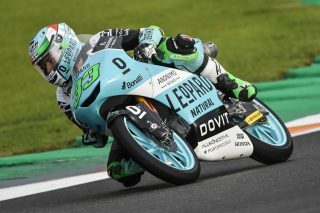 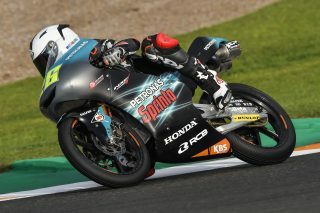 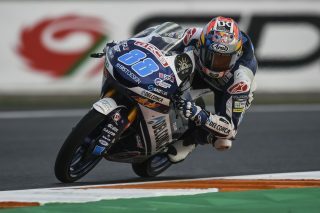 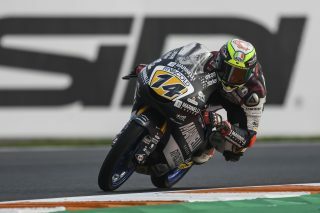 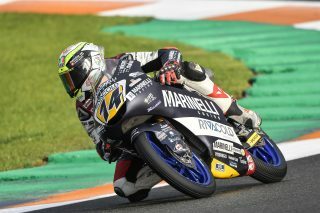 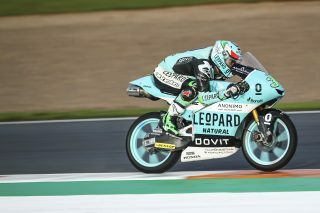 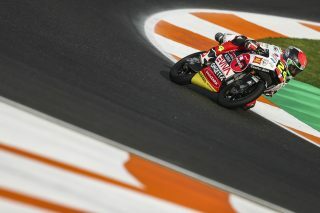 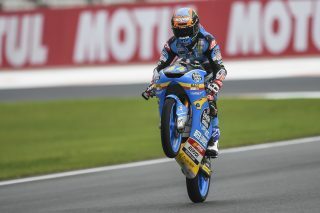 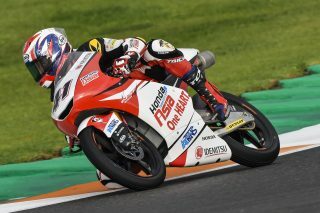 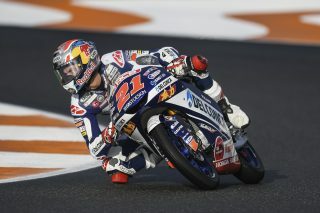 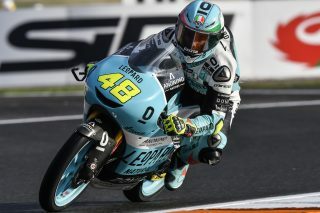 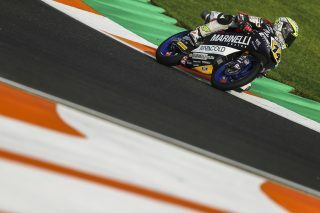 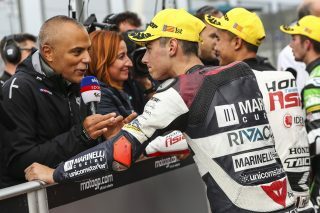 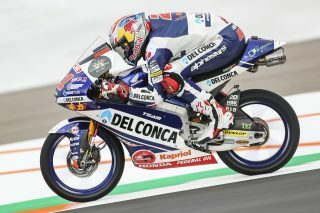 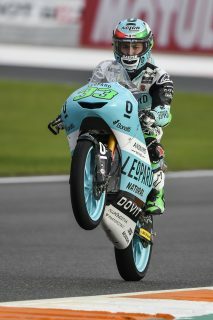 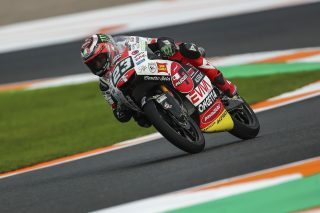 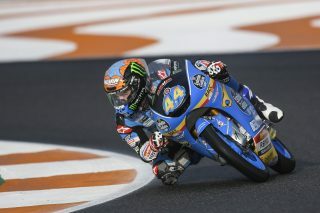 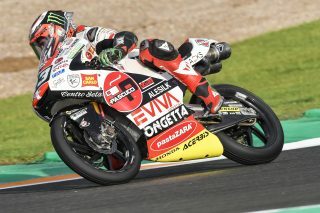 The 18-year-old Italian’s success gave Honda its 15th pole position from this year’s 19-round Moto3 series. 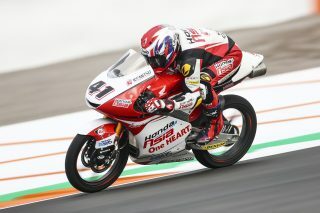 The 40-minute session got underway on a wet track, which kept drying until there was a narrow dry line through some corners. 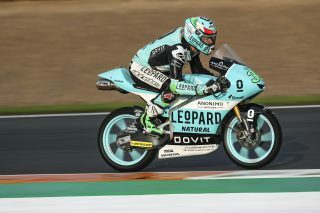 The pace therefore got faster and faster, with Arbolino risking slick tires and taking pole in the final seconds of the session. 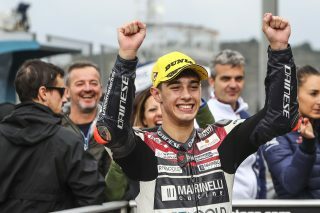 This was his first pole since April’s Argentine GP, when qualifying took place in similar conditions. 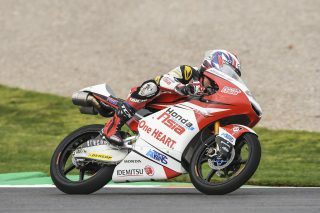 Thai rider Nakarin Atiratphuvapat (Honda Team Asia Honda NSF250RW) led the session at half-distance, dropped down the order as the pace increased, then bounced back at the very end to claim his first ever front-row start. 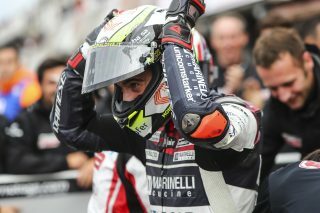 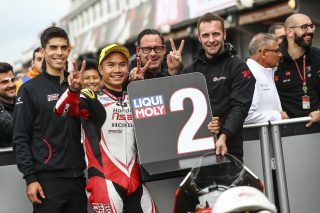 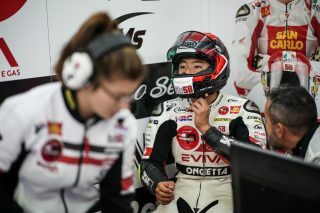 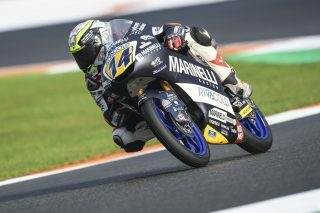 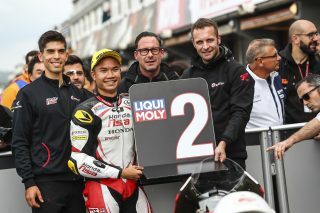 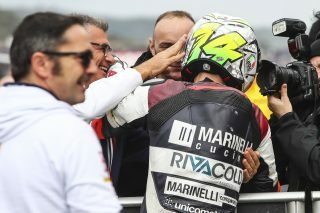 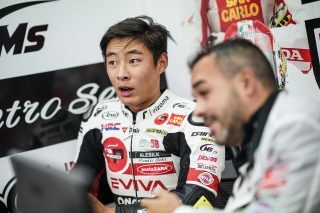 He ended the outing 0.244 seconds behind Arbolino and just a fraction away from becoming the first Thai rider to start a MotoGP race from pole. 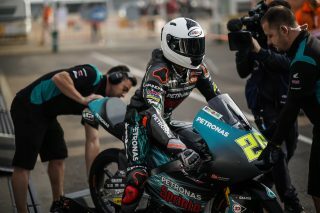 Tomorrow will be the 22-year-old’s final race before he pursues a change of career. 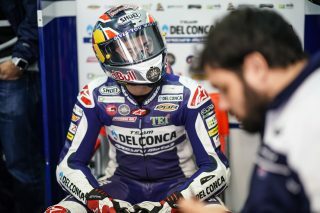 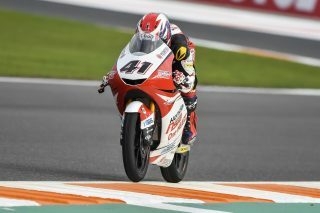 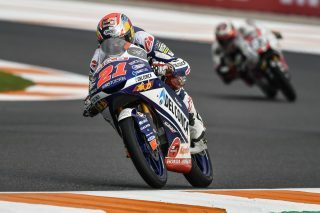 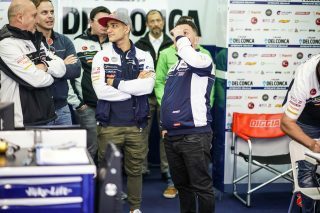 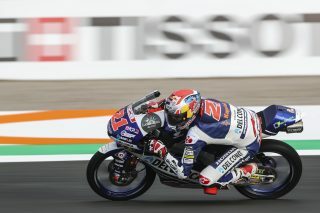 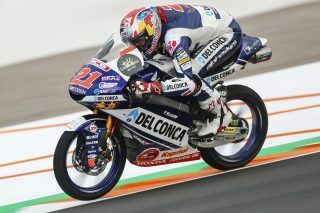 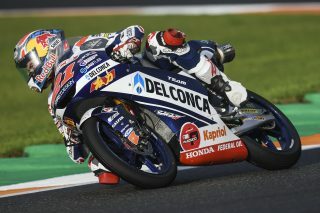 The treacherous conditions prevented recently crowned World Champion Jorge Martin (Del Conca Gresini Moto3 Honda NSF250RW) from challenging for his 12th pole of the season. 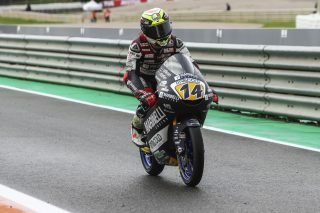 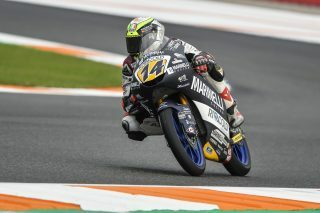 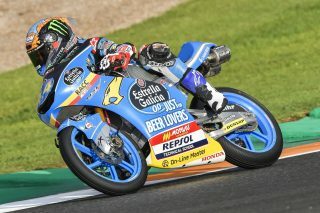 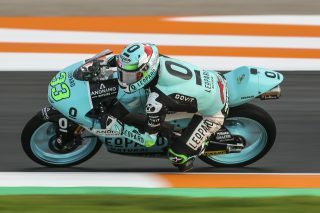 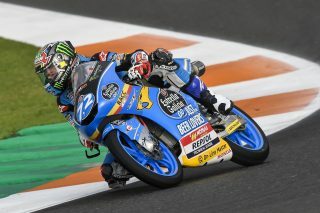 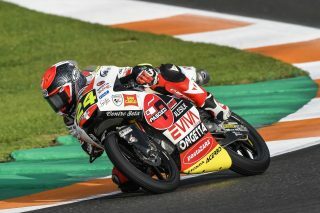 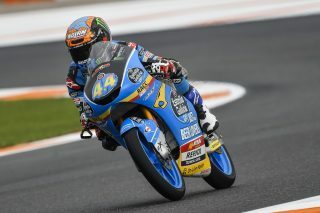 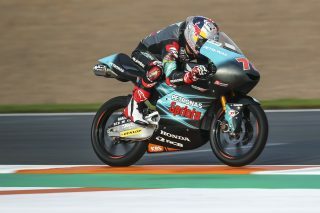 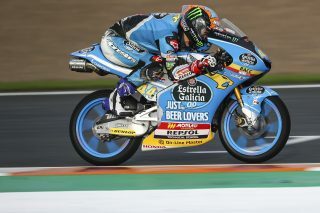 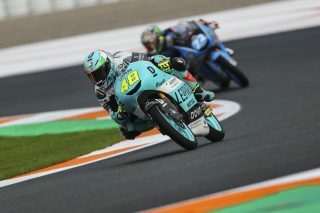 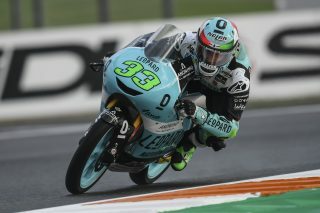 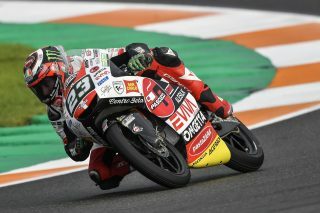 The 22-year-old Spaniard was the fifth fastest Honda rider, qualifying 13th, behind fifth-placed Aron Canet (Estrella Galicia 0,0 Honda NSF250RW) and 11th-placed Alonso Lopez (Estrella Galicia 0,0 Honda NSF250RW), who had been fastest in wet free practice. 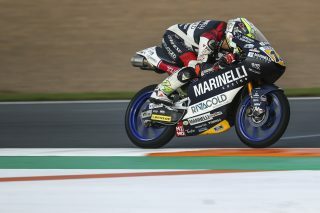 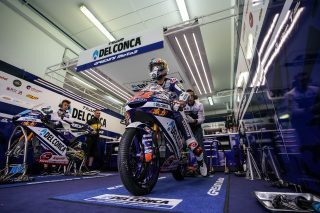 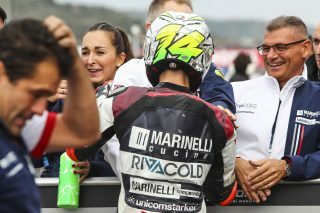 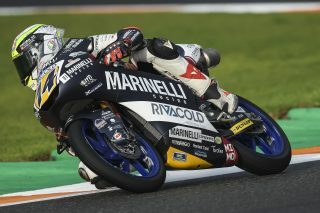 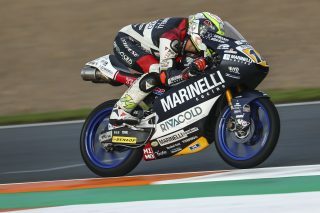 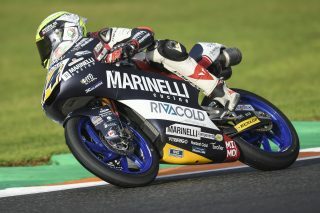 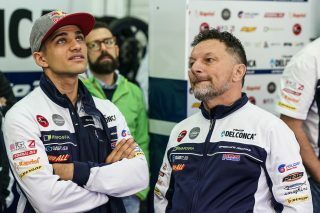 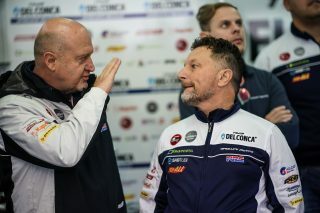 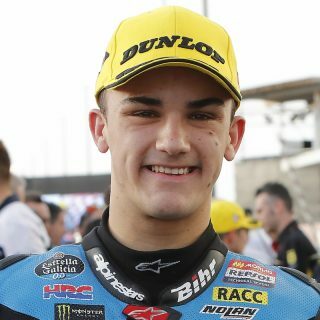 Martin will therefore start his last race before graduating to Moto2 from the fifth row of the grid, alongside 14th-quickest Enea Bastianini (Leopard Racing Honda NSF250RW) and 15th-quickest Fabio Di Giannantonio (Del Conca Gresini Moto3 Honda NSF250RW). 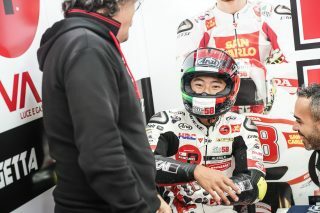 Tatsuki Suzuki (SIC58 Squadra Corse Honda NSF250RW) was 18th today, the 21-year-old never quite able to make the most of the ever-changing track conditions. 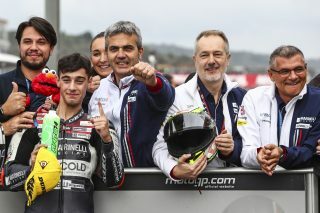 Today was good. 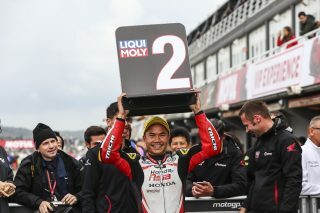 I had a good feeling and I am happy with this pole position. 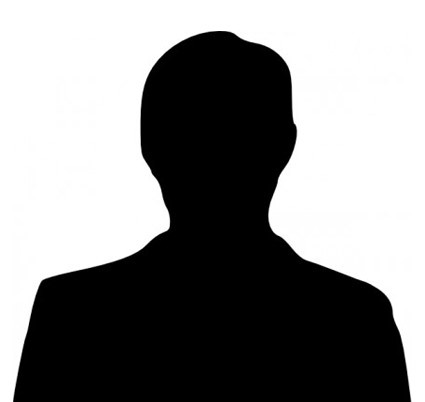 I went out on my first run and decided ‘let’s go and do it!’. 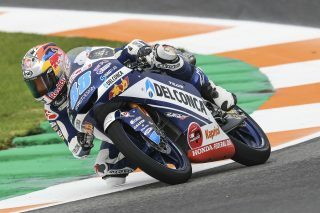 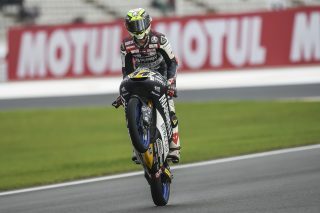 With slick tires, on the dry parts of the track I was very fast, but on the wet parts it was very tricky. 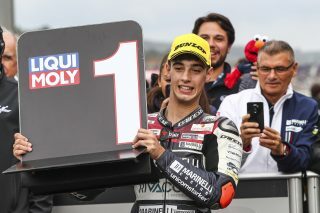 I risked a lot but in the end, we did it. 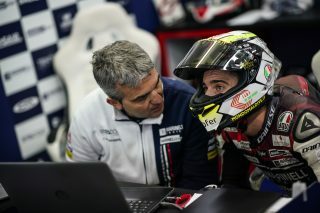 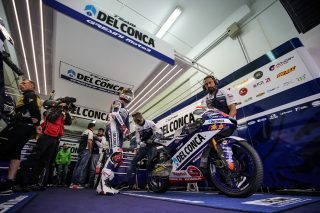 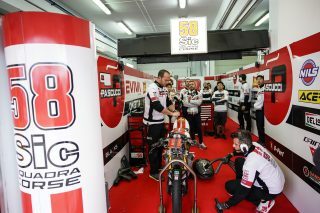 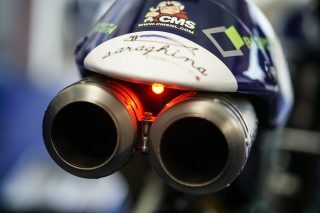 We need to improve a couple of things in the warm-up but we are ready for the race! 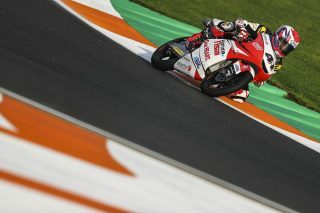 In qualifying I didn’t worry about other riders and just concentrated on my riding. 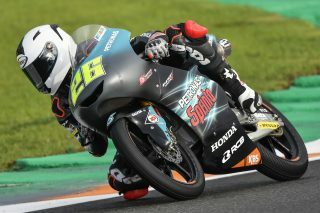 At the end of the session I found dry lines, so decided to go back to the box to change to slicks. 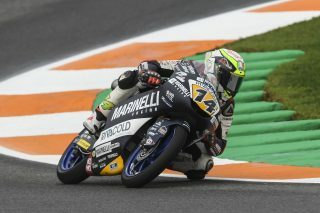 I saved myself the first few laps to learn the track conditions with slicks. 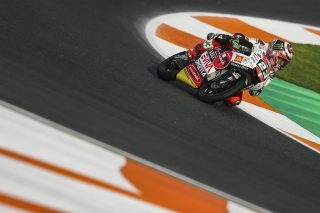 In my final hot lap, I let other riders behind me go and tried to create a clear track in front of me, then traced the dry line. 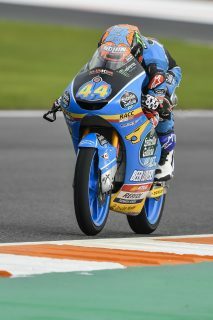 I am confident to fight for the podium tomorrow. 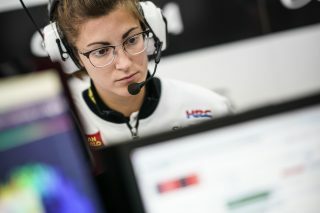 I’ve been suffering crashes the whole weekend. 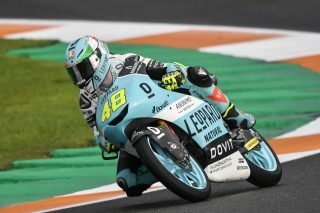 In FP3 the grip was quite precarious, I didn’t have enough confidence and I had another big scare at Turn 12, which worsened the situation. 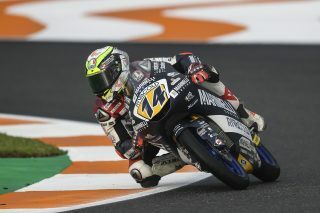 I didn’t go out too confident in qualifying, but in the end it dried up a lot and I was able to ride more strongly. 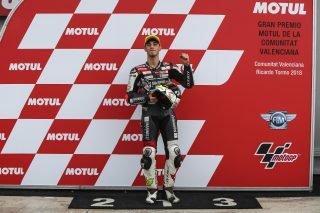 I was fighting for pole, but I finally placed fifth. 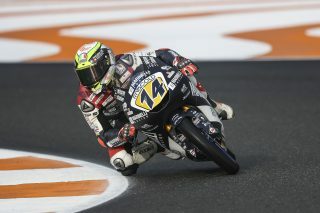 Even so, I think that in Sunday’s race I can be up at the front. 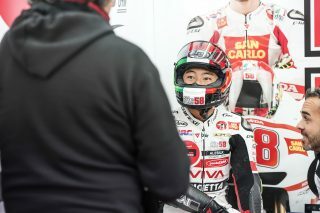 I will try to ride with confidence, since it seems that it will rain again.